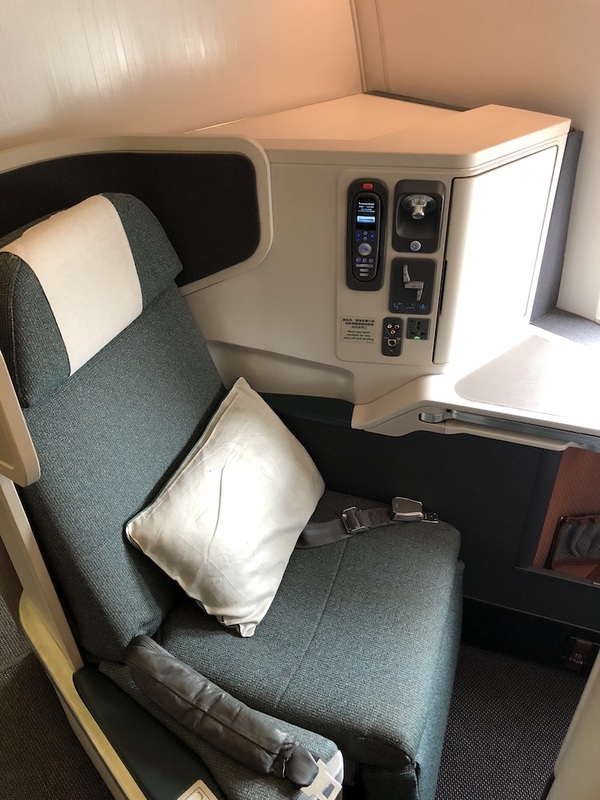 Cathay Pacific Business Class 777-300ER is perhaps the most consistent overall product out there. I recently flew them from Toronto (YYZ) to Hong Kong (HKG). Unfortunately, Cathay does not operate First Class cabin service on this route so my redemption option was fairly straight forward. Alaska Mileage Plan is my favorite program for booking Cathay Pacific flights. It costs 60,000 miles to fly from North America to Asia and only 62,500 for India! I was able to find two seats for the entire itinerary YYZ-HKG-BOM with a 2-day stopover in HKG, thanks to generous routing rules. Cathay flights cannot be searched or booked online with Alaska’s portal, so I called in ($25 booking fee) and provided the needed details. Searching Cathay award space on British Airways or Qantas website are good alternatives. One-way trip from Canada to India cost me 62,500 miles + $113.40 per person. The check-in and baggage drop off procedure at YYZ terminal 3 was simple and straight forward. We scanned our passports to confirm seat selection, and obtained luggage tags at the kiosk and proceeded to the baggage drop off booths. A quick scan of boarding pass and the bags were loaded on the belts. Easy, human free process. Unfortunately, Cathay fliers do not get access to the priority security lane. Although, right kind of Amex or Nexus membership does the trick. CX 825 was delayed by an hour, which meant that the gate area was extremely busy at the time of boarding. The priority boarding too had quite a few passengers lined up already. However, with a dedicated aerobridge for Business passengers, boarding was hassle-free. 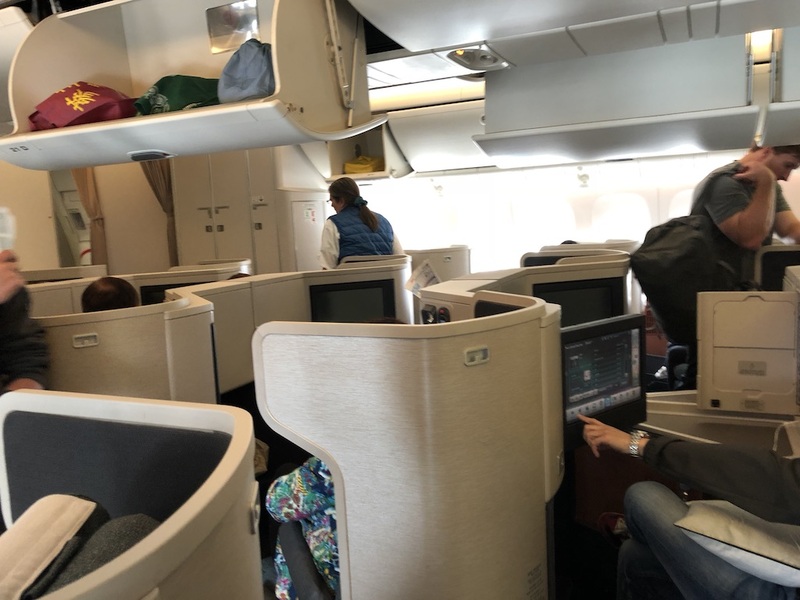 Business class cabin on Cathay Pacific 777-300ER is split in two sections and my seat, 23 A was located in the second section in front of Premium Economy cabin. The seat layout was 1-2-1 with reverse herringbone configuration. As expected, the window seat was extremely spacious and offered direct aisle access with adequate privacy. The upholstery however, has started to look tired and I hope Cathay can address this issue on their older fleet. The in-seat storage space on Cathay 777-300ER is second to none, I quite like the space utility it offers. Pre-departure drink service was very prompt and started shortly after I had settled into my seat. A glass of champagne to start with. The premium Economy cabin behind me was a 2-4-2 configuration and by the looks of it, offered great leg room and came with similar upholstery. 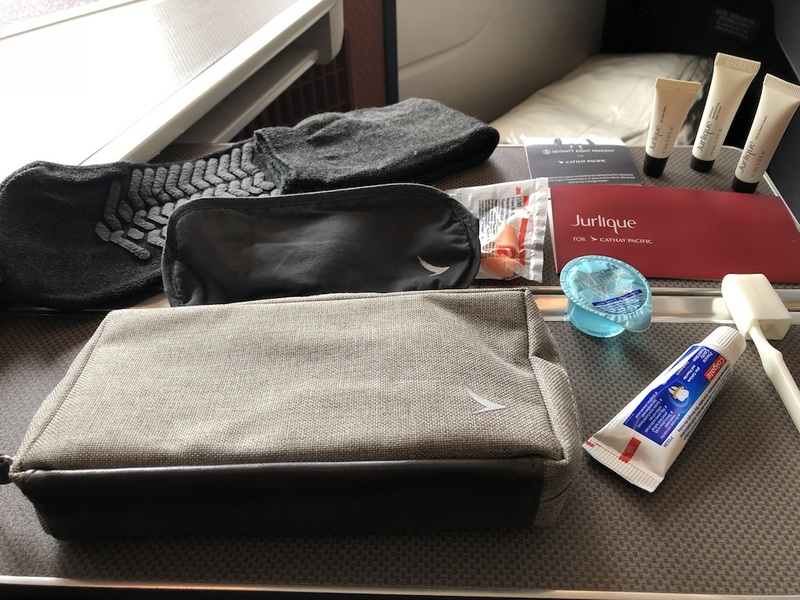 Back in Business class however, it was time to explore the amenity kit, designed by Seventy Eight Percent. 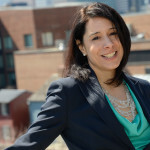 The contents included natural skincare products from an Australian company Jurlique. Soon, it was time to push back and head to the runway. by this time, we were already an hour past our departure time. Shortly after take-off, seat belt signs were switched off and the crew was in action with menu, more champagne, nuts while I got busy with exploring media options. The extensive menu on this ~15 hour flight included a scheduled Lunch and Dinner Service with snacks options on demand. Dinner service kicked off with some more Champagne for me. Couscous and smoked duck appetizer was followed by roasted Cod for mains. Although crew comes around to collect meal options, it is standard for Cathay to bring all meals in a trolley – very 80’s. 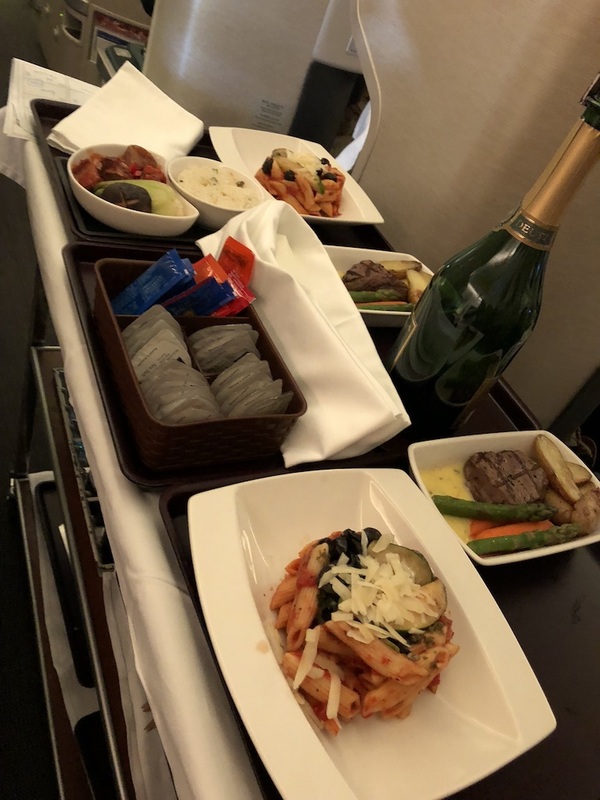 I was happy to read that Cathay had committed to upgrading their meal service in Business class. Confession time: I am a serious ‘sleeper’, as in I am known to sleep 7-8 hour stretches if I can lie down or even 7-8 hours of broken sleep in economy. I know, this is not normal and most people of envious of my super powers. Needless to say, after that smashing lunch/dinner service, I was looking forward to sleep. And sleep I did – A solid 6.5 hours later, I woke up to another round of food. Unhealthy, but I was thinking of writing a full review 😉 Had to be done. Given my sleep pattern, I did not have a chance to try the snacks menu as such. For Dinner, I chose Aloo Gobi (Potato and Cauliflower) with rice. Between the gluttony of food, drinks and sleep, Hong Kong beckoned and it was time to land. Unfortunately, we were still an hour delayed and landed in HKG with Cat 3 tropical storm warning. However, the landing was smooth as it could be. 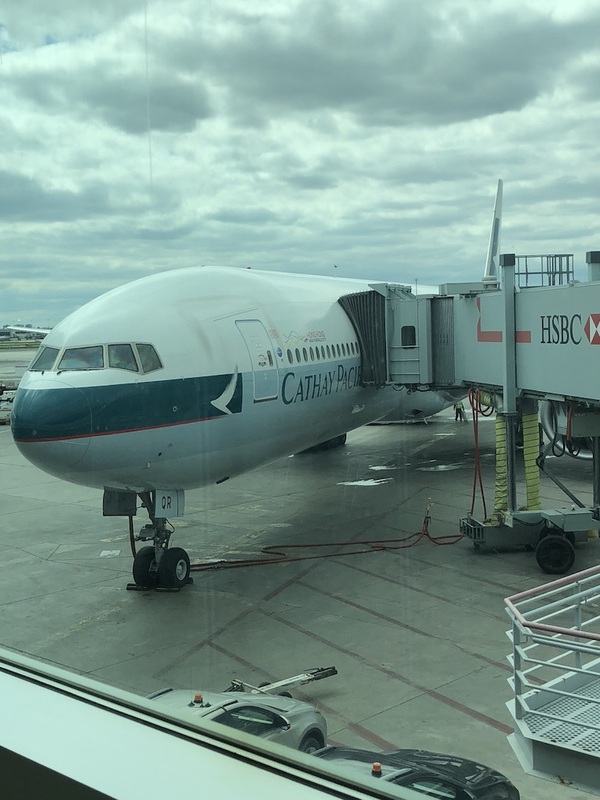 Another ride on the ever consistent Cathay Pacific Business Class 777-300ER had come to an end. There is great comfort in familiar level of good service, over the years with Cathay. The crew on board were polite and always attentive to passenger needs. On this trip, I also found them going out of their way to engage with passengers like I have never experienced before, they were keen to know if it was our first time in town and if we had any specific plans. The seats offered great comfort and room to stretch out. The upholstery however is starting to show its age and I hope Cathay looks into revamping some of its older fleet as well. 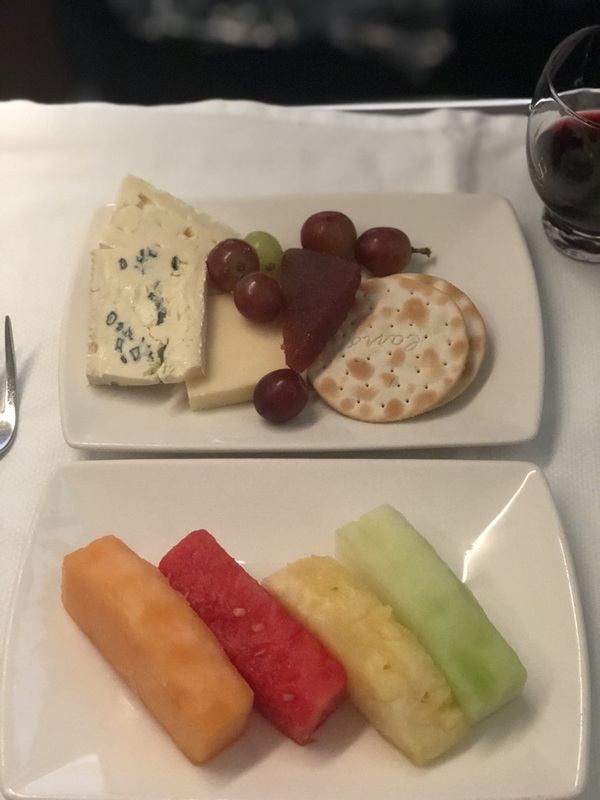 Cathay Pacific Business Class continues to be my favorite way to get to Asia, with Alaska miles – A true sweet spot if there ever was! Thank you for your excellent review of your Toronto to Bombay trip. This is exactly what I wish to do in February 2019. At this moment I am busy accumulating Alaska Mileage points. 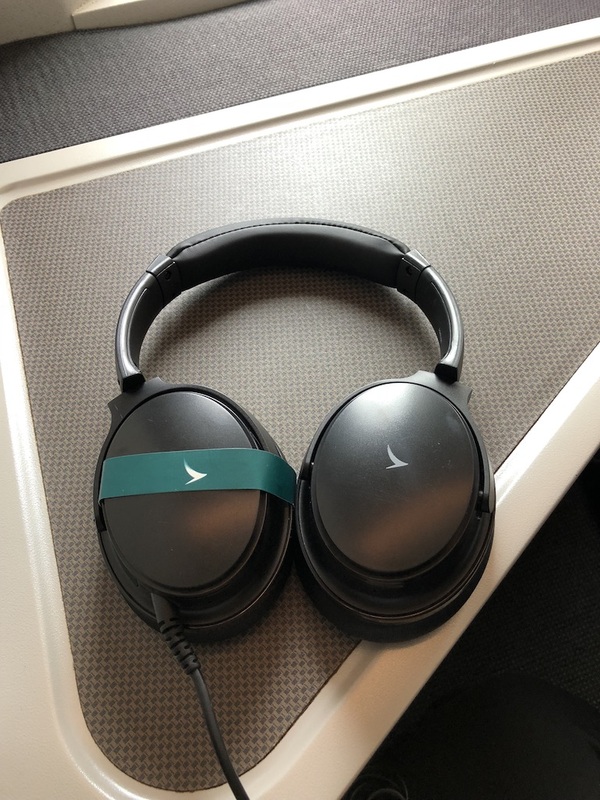 I find “looking at BA or Qantas to find available business class seating on Cathay Pacific very confusing” Would you kindly share the process with me/us. Hi Joseph, Cathay award availability does not show up when you search on Alaska. 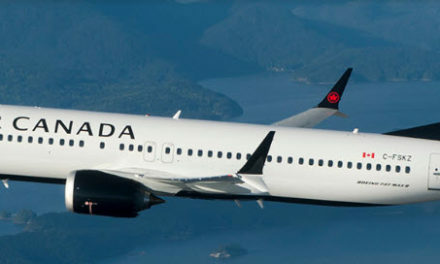 You have to call Allaska to book award flights on Cathay. But cathay awards do show up on BA or Qantas Programs. So sign up for BA and Qantas frequent flyer programs and search for yyz-hkg and hen hkg-bom (one segment at a time). If you see cathay flights available on ba or qantas, call alaska and give them those exact flight time/number. They should be able to book them over phone. Hope this helps – cheers! Those main course portions look very small? Did you find it adequate ? Main course by itself wouldnt not do it but the 3-4 course meal was more than adequate..i was stuffed!